In War Stories you are the WWII commander issuing orders to infantry squads and armored fighting vehicles. Each game presents a scenario using a modular map with different terrain that regulates movement and impacts combat in a unique system. 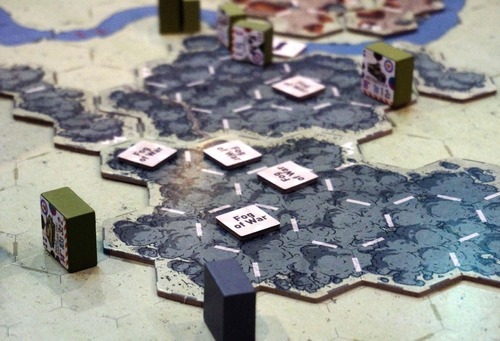 Players receive a secret set of instructions with hidden deployment and objectives. Unit blocks have a variety of information that regulates their ability to move, fight, and remain cool under fire. War Stories also offers "rule breaking" asset and event cards, a low "counter density", and quick play.